A place for young people to create and explore contemporary and traditional fiddle and folk music. 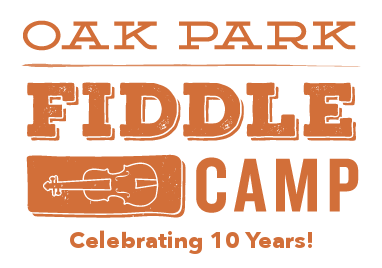 Oak Park Fiddle Camp is an exciting, inspiring, and interactive week that takes place once every summer in the beautiful 19th Century Club of Oak Park. The camp was founded by fiddle player Rachel Baiman in 2010, in partnership with her sister Rebecca Baiman. After returning from some amazing fiddle workshops in Colorado and Tennessee, Rachel was determined to bring some of the magic of fiddle camp to her hometown. The goal of Oak Park Fiddle Camp is threefold: to educate young people about traditional American fiddle music, as well as the styles and genres that such music was born from including African and Celtic music, to inspire young people to create and understand music outside of the classical music education world, and to foster a community for traditional music making in the Oak Park area. Of course, the most important goal of camp is to have an absurd amount of fun while making music with new friends! A typical day at camp includes small group classes in fiddle and guitar split by age and experience level, a guest performer (usually a local professional musician), snacks and theory games, and a square dance with instruction and live music from camp councilors. Learn how to play guitar and fiddle from professionals instructors. 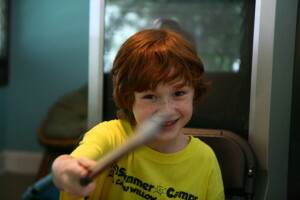 Classes are divided up by age and experience, so there is a place for everyone. No experience necessary! Between classes we make time for a break, with tasty snacks and beverages each day. Enjoy special performances from guest musicians throughout the week who will offer their own tips and insight. Of course, with music must come singing and dancing! Many types of fun group dancing are enjoyed throughout the week with instruction.